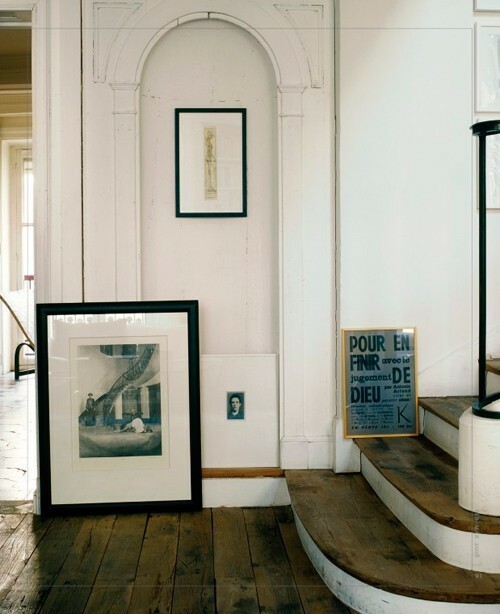 Home / Blog / Inspiration / Design and Decor / Get Low. Maybe I should have titled this Lean On Me instead? Either way, the point I’ll try to make today is that these floors were made for more than walking—they’re a perfect place for setting down art. Let’s try leaning, leaning art, photography, or whatever against your walls. Put down the hammer. Put down the nail. We’ve talked about this before. Here’s a little more inspiration for you from around the Web. thank for reading, friends. hope your day is happy. Denise. I love you and your practical self. so glad i have permission not to hang my things anymore….i never liked doing that anyway…..oh yes, lean…and just leave’em wondering….